If the Scottish Government has its way, it will soon be illegal to buy a standard bottle of Scotch whisky in Scotland for less than £14 – meaning that best-selling blends will face price increases. But how will Scotch be affected in the longer term? Richard Woodard reports. 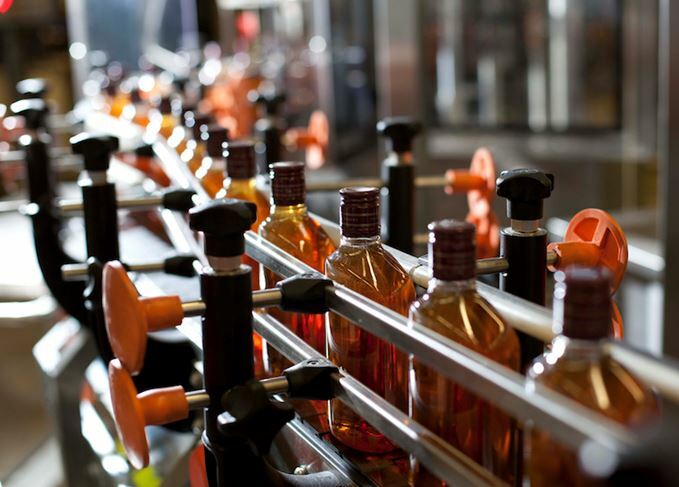 The introduction of Minimum Unit Pricing (MUP) in Scotland is a step closer following the Court of Session’s backing of the move last month – but how will the Scottish Government’s idea affect Scotch whisky? Widespread price increases, stockpiling and cross-border shopping with England and Ireland will all result from the launch of MUP, according to findings revealed today by research company Nielsen. Based on its analysis of till sales (known as EPOS data) at nearly 1,200 stores in Scotland, Nielsen reckons that ‘at least 50%’ of alcohol sold there does not meet the terms of the impending legislation. MUP would make it illegal to sell alcohol below a threshold of 50p per unit of alcohol, giving a standard 70cl bottle of Scotch whisky at 40% abv a minimum price of £14. It’s clear that spirits would be more severely impacted by the move than other categories: Nielsen claims that 69% of spirits by volume currently fall below the threshold – compared to 67% for beer, 51% for cider and only 3.4% for wine. But that picture changes if you look at the top 50 best-selling products in each category, rather than the market as a whole: on that basis, 76% of spirits don’t meet MUP requirements, versus 74% for beer, 54% for cider and 12% for wine. Break it down further and, Nielsen says, Scotch whisky and vodka are the most affected spirits categories. The most popular Scotch whisky blends will require a 20% price rise to comply with the legislation, compared to 16.3% for the best-selling vodka products. ‘Scotch is a very interesting category with two distinct parts – blends and malts – that are impacted very differently,’ says Marika Praticó, senior client manager at Nielsen. ‘Blends, which account for 82% of Scotch whisky volume sold in Scottish grocery multiples, are much cheaper than malts, averaging about £17.73 per litre – so will require an average price rise of nearly 13% to meet the minimum price threshold. It’s also worth noting that MUP will only affect retail sales – Scotch sold in bars, pubs and restaurants is already priced above the minimum pricing threshold, so won’t be affected. Beyond the financial impact on pricing, MUP is likely to have a number of broader effects, says Nielsen, including the ‘near-extinction’ of big money-saving deals in supermarkets, such as two-for-one deals. In the run-up to the introduction of MUP, there will be ‘inevitable stockpiling’, adds Praticó – creating a brief boom in trade, followed by a slump as prices rise and demand falls away. And Scots are likely to become keen cross-border shoppers, travelling to England and Ireland to stock up on cheaper alcohol there – ‘mirroring what many Britons already do with the annual Calais run’, predicts Praticó. What about the longer-term impact? Given that MUP will, in effect, make wine more affordable versus spirits, cider and beer, it has most to gain from the move – and, by the same token, Scotch has most to lose. Whether fans of Sainsbury’s Blended Scotch will suddenly switch to quaffing Pinot Grigio, however, is a moot point. Given that MUP will make the cheapest Scotch blends more expensive, it also closes the price gap between them and more ‘premium’ blends and single malts. The result, argues Praticó, is that ‘it’s a good time for people to “trade up” to the more expensive brands, which is likely to have a negative impact on supermarkets’ own-label offerings’. What is more, enforced price rises could even result in increased revenues for Scotch whisky in Scotland – as long as demand doesn’t fall below a ‘tipping-point’, says Praticó. For the moment, however, the big question is whether MUP will be introduced at all. Although Edinburgh’s Court of Session has backed the move, those fighting against it – especially the Scotch Whisky Association (SWA) – could yet decide to appeal to the UK Supreme Court. The SWA and the Scotch whisky industry have been urged to ‘respect the democratic will’ of the Scottish Parliament and abandon their opposition to MUP by doctors, politicians and public health bodies. They argue that MUP is needed to curb alcohol misuse in Scotland, saving both lives and money in the process, while the SWA believes the policy breaches trade law and has backed alternative measures, such as tax increases. While groups such as BMA Scotland are now calling for the implementation of MUP ‘as a matter of urgency’, the SWA is yet to decide what it will do next. ‘Our lawyers continue to study the details of the judgement, and we are consulting with our member companies before deciding next steps,’ an SWA spokesperson said. It’s a fight the SWA clearly doesn’t want to give up easily, given the Scotch whisky industry’s fears that MUP in Scotland could prompt copycat moves around the world.